Technology plays a critical role in politics, and now in ways we least expected. It is not enough that your campaign or operation is technically sophisticated, it must also be protected. The hacking of Democratic National Committee (DNC) emails during the Presidential election, and the subsequent Russian investigation that threatens to take down an administration (!) reminds us daily of our online vulnerability to cyber attacks. Since being elected last February, DNC Chairman Tom Perez has taken the Party's tech force to the next level, bringing on former Uber and Twitter tech guru Raffi Krikorian as Chief Technology Officer last year, and this week announcing the hire of Bob Lord as the DNC's Chief Security Officer. 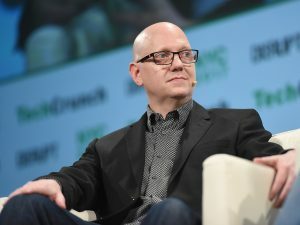 Lord, who was Chief Information Security Officer at Yahoo, and was previously Director of Information Security at Twitter, will be responsible for building up cybersecurity defenses for the DNC and state parties across the country. "Cyber attacks are an unfortunate, but very real threat to our work. I'll be working to protect my new colleagues at the DNC from the attackers who would prefer to keep us distracted from our mission of getting Democrats across the nation elected. And my job doesn't stop at the front door of the building - my team and I will work with state parties to update their information security strategies." 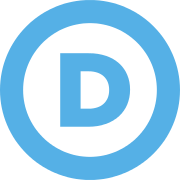 Lord is the latest in a strategic series of DNC hires that draw on the experience of techies outside of politics. In announcing the new position and addition to the national party's leadership team, Perez said, "When I took this job, I made it crystal clear that our organization's cybersecurity required immediate attention and resources ... Defense is an essential part of any game plan, and I couldn't be happier with Bob holding the line for the DNC." Stay Tuned to DemList for future developments!